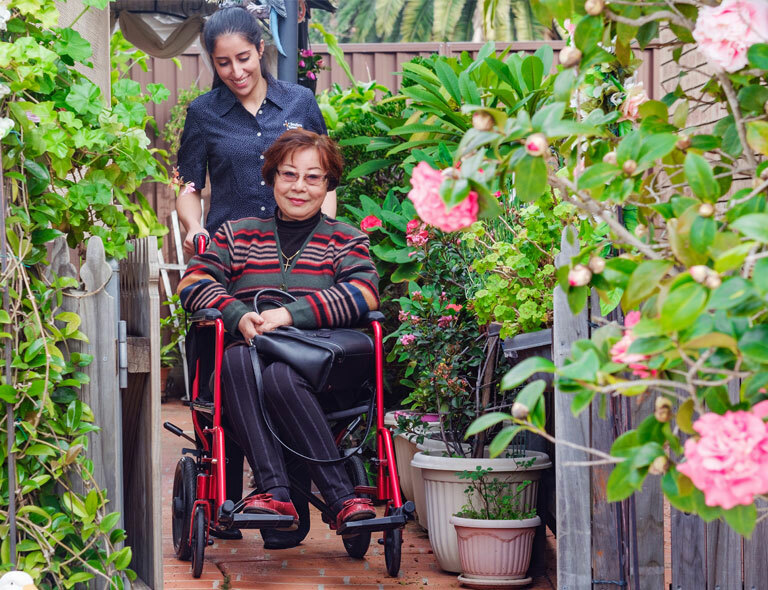 We support and participate in the Commonwealth Government’s Aged Care Accreditation Program, during which we must demonstrate how we meet the required standards in order to remain accredited. From time to time, your Service Advisor will contact you to ensure that your expectations are being met and see if you have any questions. Naturally, you can also contact us at any time regarding your services. We’re a not-for-profit organisation, so we don’t have shareholders, overpaid executives or big overheads. We put the money we’re given back into providing services for our clients, not paying bonuses. That means you get better value for money with more service hours and better services. We’ll provide you with monthly statements to let you keep an eye on your finances and see you’re getting value for money. Sometimes our circumstances and needs can change how we choose to live our lives. We provide a full apectrum of services to provide you with options, choice and support for how you choose to live your life, today and tomorrow. These include Home Care services, Retirement Communities and Residential Aged Care. You have the peace of mind knowing that whatever your needs may be tomorrow, you have a relationship with a provider that has it covered. Everyone’s different, which is why we work closely with you and your family, to understand your needs and preferences, and design a service plan that’s right for you. We celebrate and respect diversity and welcome all, regardless of faith, ethnicity, sexual orientation, gender identity and lifestyle choices. Our services are personalised, flexible and designed to meet your changing needs. We know that over time your needs may change, so we’ll change with you. The choice and control are yours. You decide when and where your service begins. You can change or add to your service plan at any time. We ensure that you always have a say in the services you receive, how they’re delivered and who delivers them to you. It’s your choice how much involvement you have in managing your services. You can choose to have us provide complete case management, minimal case management or anything in between. Call us on 1800 632 314 and we’ll give you all the information and support you need to make an informed decision that’s right for you and your family.